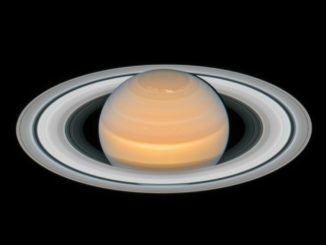 Do you like extreme observing challenges? 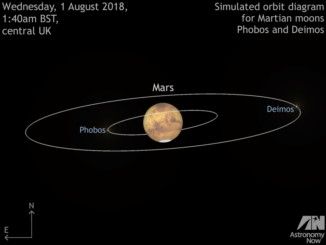 If you own a quality telescope of 25-cm (10-inch) aperture or larger and have excellent sky conditions, then you might just glimpse Phobos and Deimos, the diminutive moons of Mars around the time that the Red Planet is closest to Earth on 31 July. 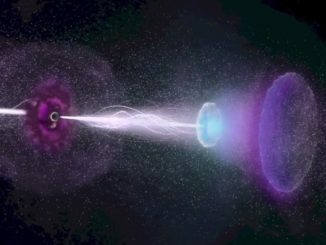 A powerful gamma ray burst two billion light years away produced a long-lasting “radio rebound” shock wave that surprised astronomers, providing new insights into such cataclysmic explosions. 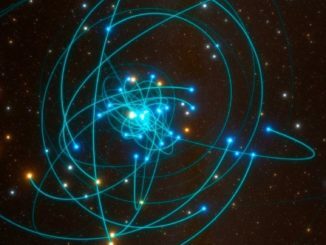 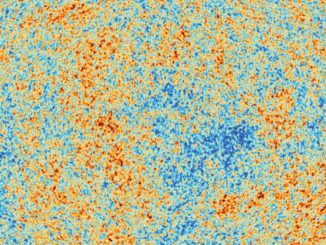 Astronomers tracking a star passing close to the supermassive black hole at the heart of the Milky Way have detected relativistic gravitational redshift in light reaching Earth. 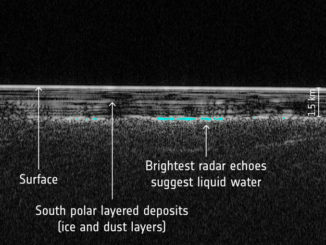 ESA’s Mars Express satellite, using ground-penetrating radar, has detected what appears to be a pool of liquid water below the red planet’s south polar region, a potentially habitable environment. 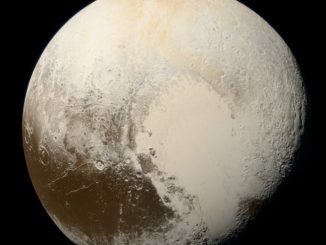 Three years after the New Horizons spacecraft raced past Pluto and its large moon Charon, mission scientists have released the most accurate colour views yet, showing the distant worlds as they would appear to an astronaut’s eyes. 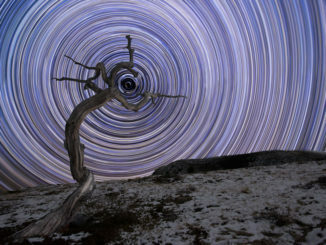 Star trails in Montana’s northern Rocky Mountains feature in this shortlisted image entered in the Royal Observatory Greenwich’s Insight Astronomy Photographer of the Year competition. 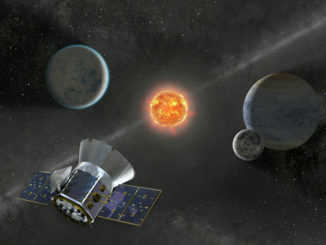 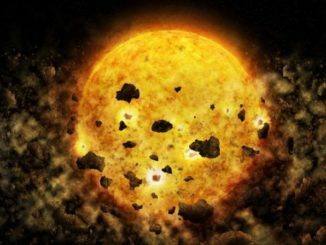 Astronomers struggling to understand why an unusual stars periodically fades and brightens have collected X-ray observations indicating it may be due to the catastrophic collision of two infant planets.